Herb & Kale Stripping Comb, 4.75" / 12.5cm. 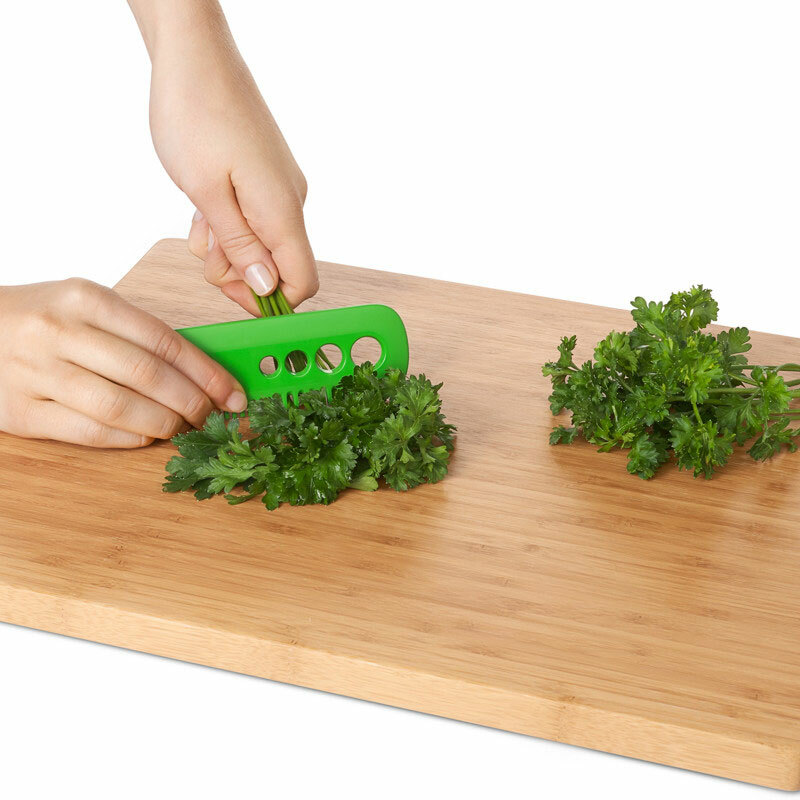 Quickly combs through parsley, cilantro, thyme, oregano and more, to remove leaves from their stems in one easy motion. Four hole sizes designed to strip kale and other leafy greens. Flat edge for gathering greens together. Sized for compact storage. A great tool for removing the leaves from multiple sprigs of herbs at a time and removes leaves from kale stems.